We talk a lot about design when outsourcing work to vendors. Graphical Design. Instructional Design. Interface Design. 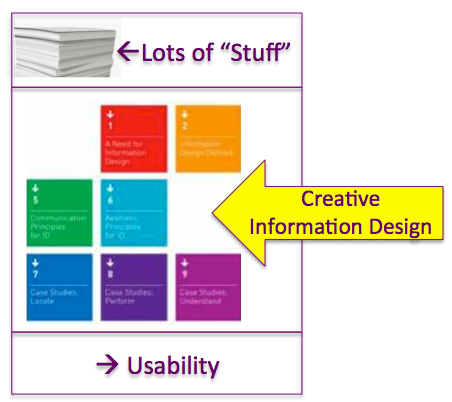 But one oft-neglected area is Information Design. This is the art and science of taking a mass of information, and creatively turning into a beautiful, intuitive package that is easy to navigate and consume. When people intersect with information, an intuitive and attractive “map” to navigate through from beginning to end is hugely important – but often lacking. If you’d like to look at some talented resources for this kind of work, let us know here at Impactiviti (stevew at impactiviti dot com). We’ll make the connection.